Former Schools Superintendent Carl Roberts apparently upset incumbent County Commissioner Wayne Tome Tuesday in the Democratic primary for the District 4 Commissioner’s seat, after a well-financed campaign that contrasted Roberts’ dire predictions of fiscal and policy crisis against Tome’s contention that the county was on the right course. With all 19 precincts and early voting tallies reporting, Roberts had 2,928 votes to Tome’s 2,492. Roberts garnered 54 percent of the vote to Tome’s nearly 46 percent. Tome, a battalion chief with the Baltimore County fire department and former mayor of Port Deposit, has been a strong supporter of local volunteer fire companies and EMS personnel. However, he drew fire from county Sheriff’s deputies– normally an ally of other emergency responders. Tome and other commissioners opposed legislation drafted by Sen. E.J. Pipkin and Del. Michael Smigiel, both R-36, to impose binding arbitration on negotiations between the county and deputies represented by the Fraternal Order of Police, Lodge 2. After a legislative battle in Annapolis, the county commissioners largely prevailed with approval of collective bargaining, which the commissioners always supported, and non-binding arbitration. Roberts, who presided over the county schools during a period of population growth and rising test scores for students, nevertheless drew criticism for spiraling costs of running the school system on his watch. During his Commissionercampaign, Roberts blasted the current board of Commissioners, saying they lacked a “strategic plan” to direct county policies, programs and finances for the future. The winner of the Democratic primary will face off in November against the winner of the Republican primary. That GOP race, like many other contested Republican races in the county Tuesday, pitted members of a “slate” of candidates fielded by 36th District Del. Michael Smigiel and Sen. E.J. Pipkin, against non-slate candidates. In the 4th District GOP primary, Diana Broomell, who ran against Tome in the general election four years ago but lost, ran a low-key, low budget primary campaign. Her better-financed opponent, Mike Dawson, a former Prince George’s county police officer, was a member of the “Young Republicans Club” and a member of the Smigiel-Pipkin “slate” of local Cecil County candidates. But Broomell narrowly pulled off a 51 percent tally, with 2,908 votes, to Dawson’s 48.8 percent, with 2,777 votes. The Pipkin-Smigiel slate pounded out a surprise victory in District 3, with the upset win by Michael Dunn, a legislative aide to Smigiel. Dunn registered 2,469 votes, or 42 percent. Former County Commissioner Harry Hepbron, who lost a re-election bid in 2006 to current Board of Commissioners President Brian Lockhart (D), came in second place in his comback campaign in the Republican primary Tuesday. 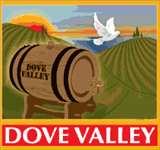 Hepbron owns the popular Dove Valley Vineyards and Winery in Rising Sun and served two terms on the county Board of Commissioners before his defeat in the last election. ( Lockhart was unopposed in the Democratic primary Tuesday.) Hepbron received 2,084 votes, or 35.5 percent of the tally. Coming in third in Tuesday’s GOP primary voting was Ted Kolodzey, a local “tea party” activist, who surprised attendees at a candidate’s forum this summer when he attacked Smigiel and Pipkin for what he said was an attempt to control county politics and government. “They will destroy this county,” said Kolodzey, who said he had rebuffed attempts to recruit him to a Smigiel-Pipkin slate. Kolodzey received 1,314 or 22 percent. As in so many local contests this year, District 1 became another Smigiel-Pipkin surrogate contest, pitting their relatively unknown “slate” candidate, Christopher Zeauskas, against Tari Moore, a former executive director of the county Chamber of Commerce. But Moore– the non-slate candidate– won the victory. Moore pulled in 3,044 votes, or 52.2 percent, while Zeauskas received 2,784votes, or 47.7 percent. The winner of the GOP primary will face Earl Piner, Sr., who was unopposed in the Democratic primary. Piner is a former member of the county school board and Eklton town commissioner. He has also coached basketball teams at Cecil College and youth sports teams in the Elkton area.